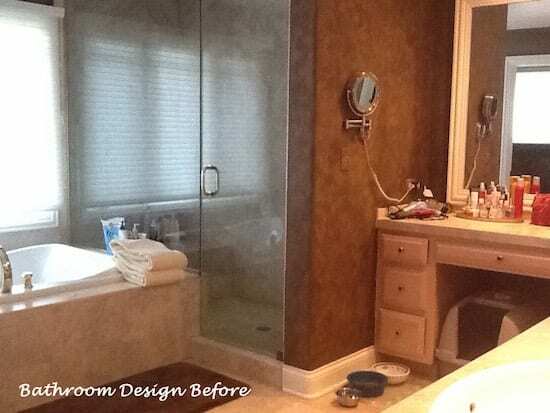 Time to Remodel your Bathroom – Get the Bathroom Design you envision! 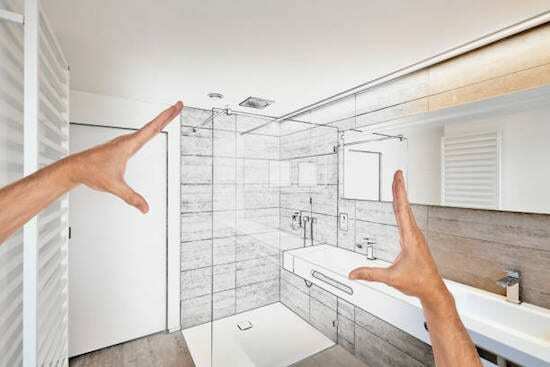 Are you ready to remodel your bathroom? If so, you probably have a vision in mind for the functional and luxurious bathroom of you dreams! With this type of home renovation, there are definite advantages to hiring a seasoned interior designer. First of all, the expert guidance will help you make great choices. In addition, you’ll be lead to budget wisely, avoid mistakes and make a beautiful, functional space. With DF Design, you’ll receive the undivided attention of our principle Interior Designer, Dennis Frankowski. 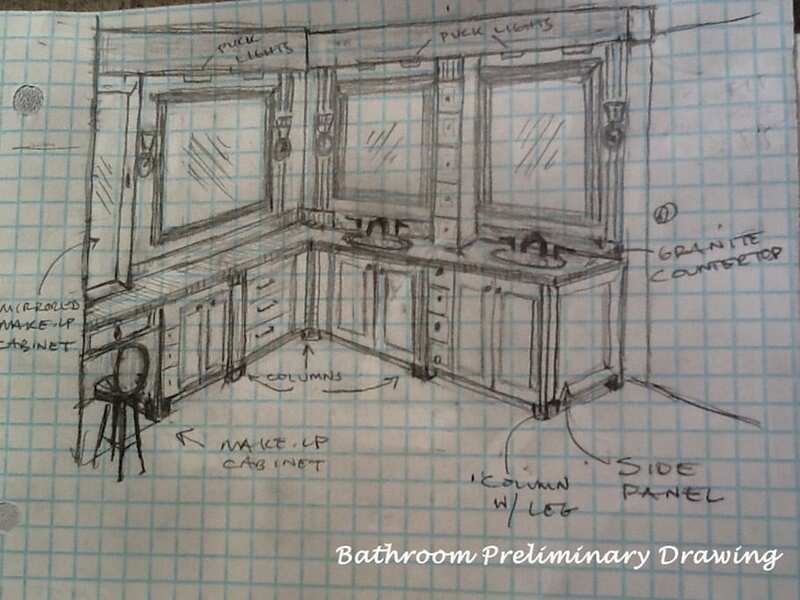 The bathroom design plan he’ll create for you will match you vision and budget. In addition, he’ll solve any product selection dilemmas you face when choosing fixtures, cabinetry and other necessary materials for your new bathroom. You have a choice with you hire DF Design! We offer Bathroom Design Consultation services and fully managed Bathroom Design and Build services. Give us a call! We’ll be happy to speak with you about your home renovation and provide you with Bathroom Remodeling solutions that match your style and budget. Bathroom renovations can get complicated. Whether you complete the work yourself or hire professionals, a structured plan is a must. At DF Design, we offer an organized approach to the bathroom design and renovation process. 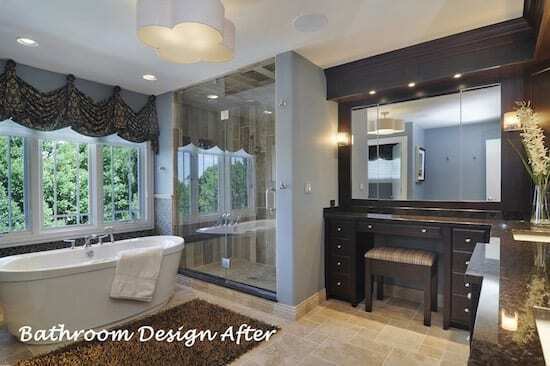 Our goal, is to provide you with the “bathroom of your dreams” in a timely fashion, within your budget. Customers of DF Design benefit from a wide variety of trusted products and services. The cabinetry, plumbing & lighting fixtures, flooring, and other furnishings we recommend have all passed our tests of quality, value and good design. We’re very proud of the lasting relationships we’ve built with dependable vendors and custom craftsman. Whether you are interested in high-end bathroom design or a moderately priced bathroom renovation, we can achieve your goals. With your budget in mind, we’ll evaluate your environment and recommend items that suit your needs. Bathroom Remodeling and Product Selection Options! Whether you require bathroom design consultation, or completely managed bathroom design and build services, your satisfaction will be our top priority. When you choose to work with us, you will receive a level of service that exceeds your expectations. We offer Bathroom Consultation Packages for those who have contractors, but are still in need of design and selection assistance. We’ll provide you with Bathroom Design advice and guide you in selecting beautiful products, in the sizes, styles and colors you love. We also provide completely managed, Bathroom Design & Build services. With DF Design, each custom renovation transforms, from concept to completion, into the beautiful space you have envisioned. How does the Bathroom Design and Build process work? First, we’ll discuss the goals you have in mind for your bathroom. Most importantly, we want to know your vision. We’ll study the existing floor plan and address ways your bathroom could be improved. In addition, we’ll learn about the bathroom styles, colors and furnishings you like. During our conversation, we’ll also discuss your budget and start narrowing down design options and solutions for you. 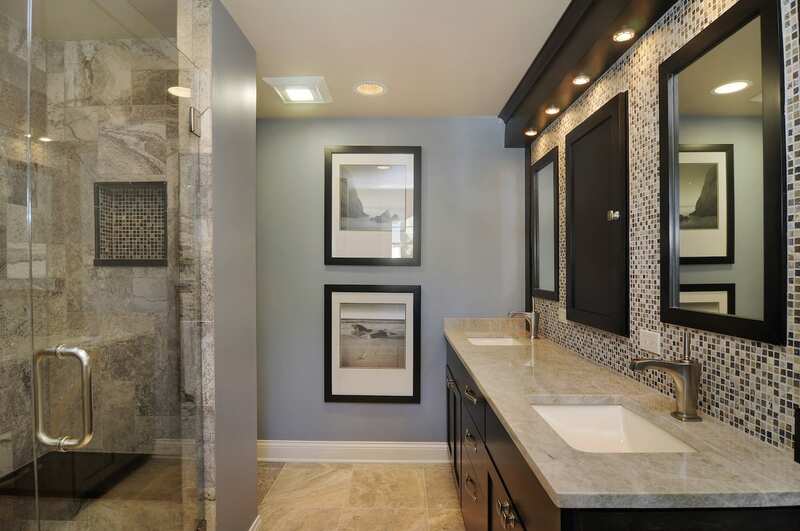 Our next step is to prioritize bathroom design and build solutions that will best suit you. Your budget is our priority. 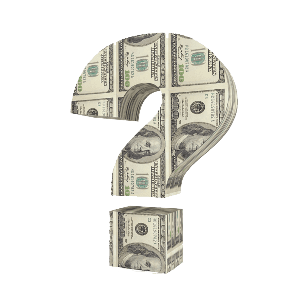 All bathroom furnishings, including cabinetry, countertops, lighting, and flooring will be chosen in price points that meet your remodeling goals. Your design plan will be completed, with your vision in mind, that includes products, services and pricing for your bathroom renovation. DF Design provides fully managed bathroom design and build services. Because of this, our renovations transform, from concept to completion, in an organized, timely manner. As part of our service, we provide daily “open and close”. In addition, we ensure on-site design decisions are made in a timely fashion. We monitor product selections, deliveries & “our” contractors. 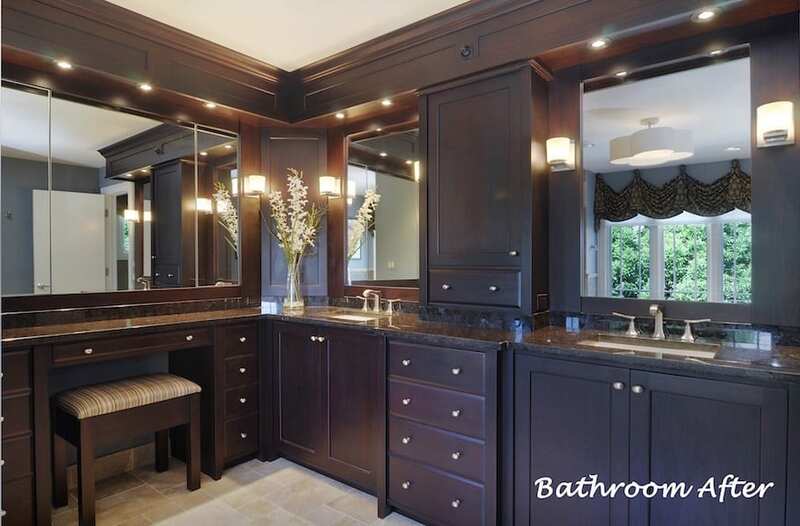 Our goal is to provide you with exceptional service, and create a beautiful, functional bathroom that you will love. Each Bathroom renovation is different. With that in mind, our goal is to provide you with beautiful options, within your price point. 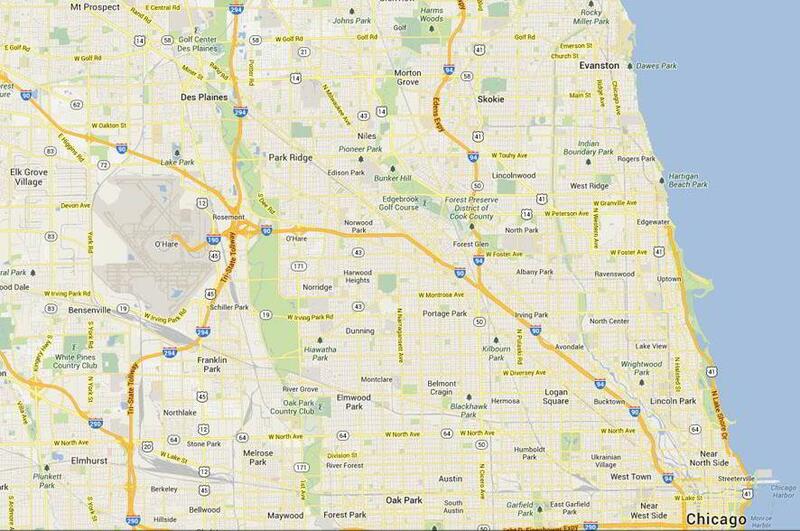 Call us at 815-479-0047. The phone consultation is friendly and FREE. We’d be happy to discuss your remodeling plans and answer any questions you may have. FACT: Contractors build but they aren’t bathroom designers. 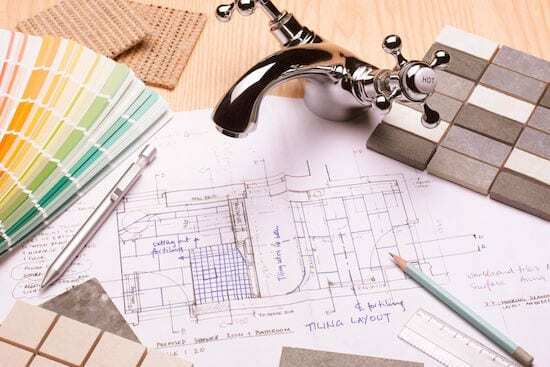 Are you ready to start your bathroom renovation, but need help with the design plan? We offer Bathroom Design Consultations to assist in the home design and renovation process. 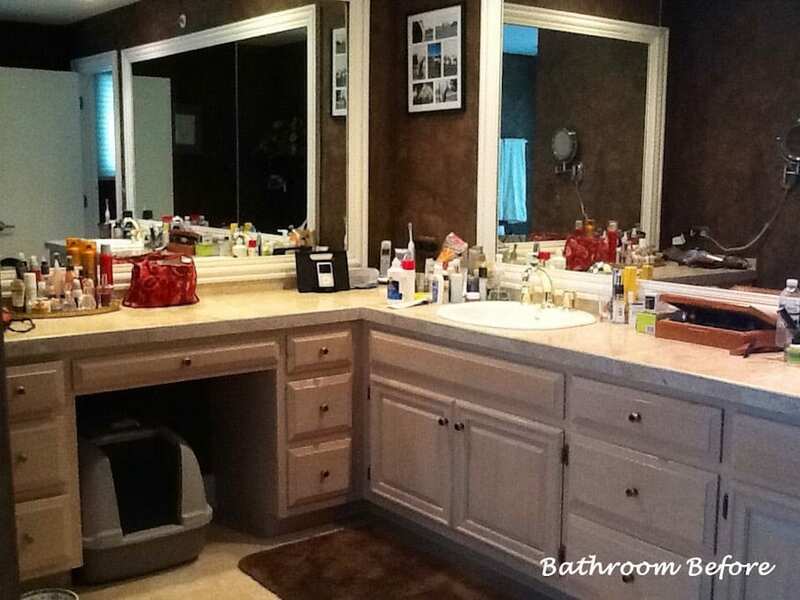 Is the thought of remodeling your bathroom overwhelming? No worries. 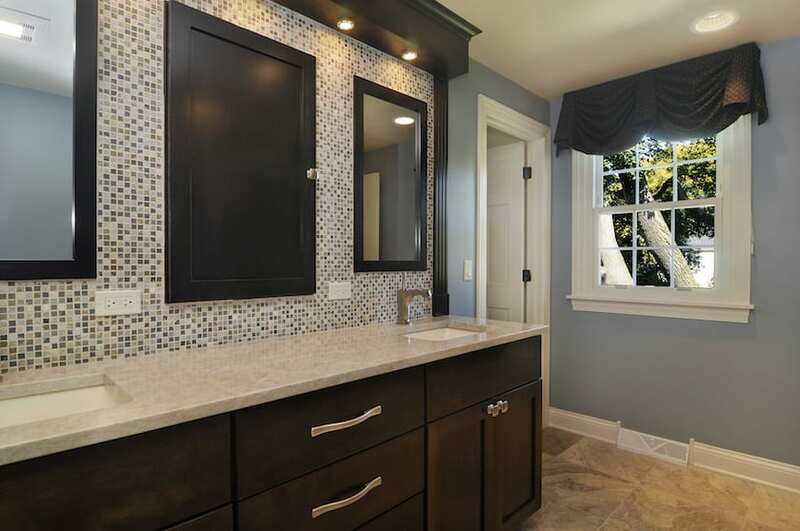 We’ll provide completely managed bathroom remodeling services for those with busy lifestyles. Why not hire a firm that can design, build and furnish your bathroom? We’ll create a Beautiful Bathroom, just for you! We make the bathroom remodeling process easy. Let us bring your vision to life! With DF Design, the bathroom design & build services are a great investment. With us, you’ll end up with a beautiful bathroom in less time, for less money and with less hassle than trying to go it alone. Ready to Update Your Bathroom, We’ll be happy to come to you! We provide bathroom design consultations and custom bathroom design and build renovation services throughout Chicago and surrounding communities including: Arlington Heights, Bannockburn, Barrington, Bull Valley, Burr Ridge, Cary, Chicago, Crystal Lake, Deerfield, Deer Park, Elmhurst, Fontana, Geneva, Glencoe, Glenview, Glen Ellyn, Hawthorn Woods, Highland Park, Huntley, Inverness, Kildeer, Lake Bluff, Lake Forest, Lake Geneva, Lake Zurich, Lakewood, Libertyville, Long Grove, McHenry, Mundelein, Naperville, North Barrington, Northbrook, Palatine, Park Ridge, Riverwoods, Roselle, Schaumburg, South Barrington, St. Charles, Wheaton, Wilmette, Winnetka, Woodstock.